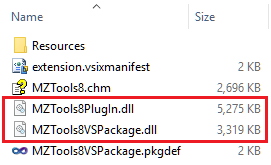 As you can see in the images, in all cases there is the same big MZTools8PlugIn.dll file, which contains the feature set, and smaller host adapter dlls that “plug” the features into the IDEs. If you are interested, I outlined the strategy to achieve this in this other post. The first thing I noticed is that the errors show a location “f:\dd\VSSDK\VSIntegration\Tools\src” that is not on my hard disk. 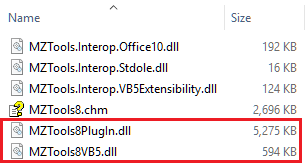 This is because the VS SDK tools (at C:\Program Files (x86)\Microsoft Visual Studio 12.0\VSSDK\VisualStudioIntegration\Tools\Bin) are shipped with the .pdb files for debugging. 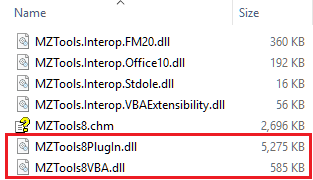 In “Debug” configuration, the MZTools8PlugIn.dll assembly is generated with a strong name because no obfuscation is performed. 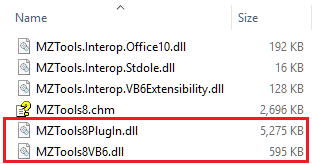 In “Release” configuration, the MZTools8PlugIn.dll assembly is delay-signed, because it requires obfuscation, and you can’t alter an assembly signed with a strong name. So, obfuscation is done in a post-build step and then the obfuscated assembly is finally signed. The details are documented here. So, in “Release” configuration, CreatePkgDef.exe is failing because the package assembly is loading a required assembly that doesn’t have a strong name yet (delay-sign). I was well aware that normally you need to instruct the .NET Framework to skip strong name validation using sn.exe -Vr (which for sn.exe 32-bit adds a special registry entry under HKEY_LOCAL_MACHINE\SOFTWARE\Wow6432Node\Microsoft\StrongName\Verification) but somehow the CreatePkgDef step of the package assembly compilation of my build process has been working for ages until a few days ago without that strong name validation skipping step. The same was not true if I used Visual Studio 2010 or higher (which use .NET Framework 4.0 / CLR 4.0 or higher), but it was true in the past. So the suspicion increases. 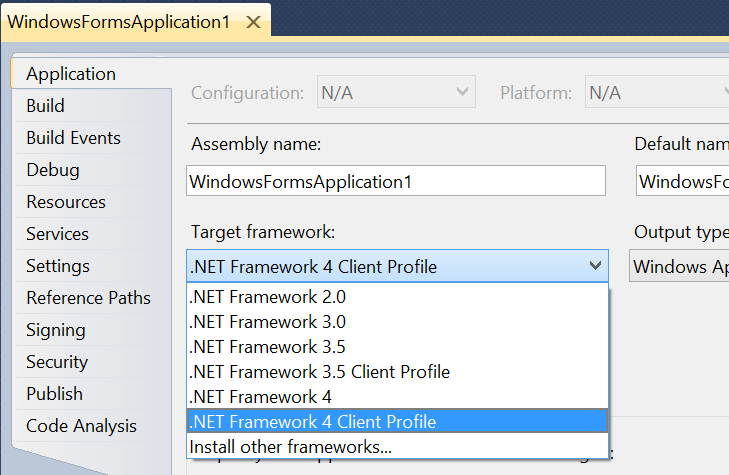 So, .NET Framework 4.6 introduces a breaking change that I have not seen documented. You can build the package assembly with a strong name even in “Release” configuration, so CreakePkgDef doesn’t fail, and remove the strong name before obfuscating. Since the sn.exe utility doesn’t allow to remove strong names, you must search some other utility on the web (they exist). Add-ins are gone and now packages are the primary way of extending Visual Studio for the typical need of creating some toolbar, menu, buttons, toolwindows, etc. or listening to events to do something. 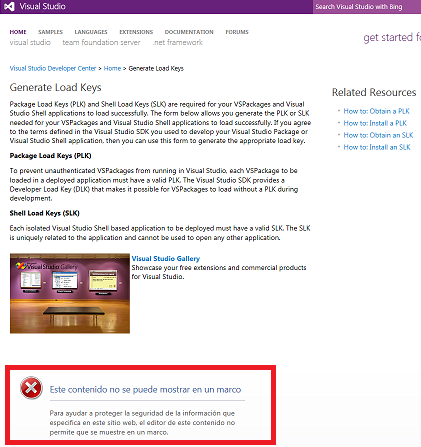 Migrating from an add-in to a package is not trivial due to the usage of services instead of the EnvDTE automation model (although you can still use the automation model) but also for the difficulties of the .vsct file. ElektroStudios StackOverflow user (and others): I do feel your pain. I will do my best to find time and provide decent tutorials and a GitHub sample about .vsct in the next couple of months. 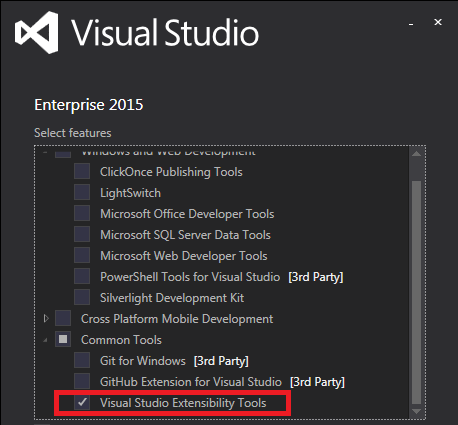 Community Edition, which supports extensibility and is free for some scenarios, at least “still free”, huh? All of them are already available. There is no Ultimate edition, but for some reason there are still Express editions for Windows Desktop, Web (both already available) and Windows 10 (coming soon). 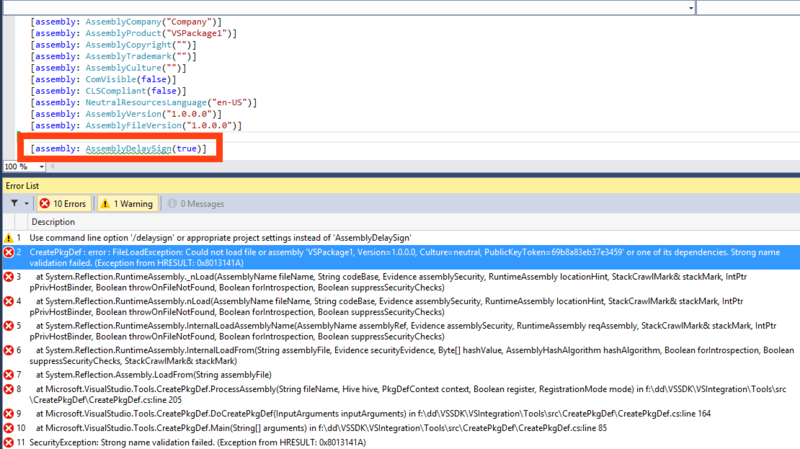 The compilers for C# and VB.NET are now exposed to extensions through the .NET Compiler Platform (formerly “Roslyn”). This should replace the automation code models (EnvDTE.Project.CodeModel, EnvDTE.ProjectItem.FileCodeModel), although they can be still used and in fact their implementation has changed to use Roslyn under the hood, with quite a few bugs along the way that I have reported and most of them are fixed now. There is new support for high resolution icons on buttons for high-dpi displays, although AFAIK it is not documented yet. There is a new Common Project System (CPS) in the works. 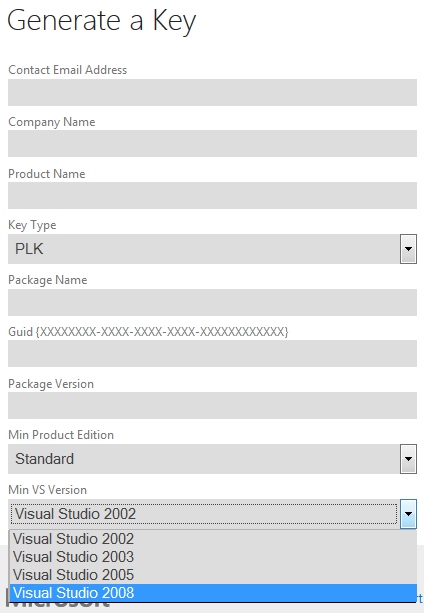 To create a package there is no longer a wizard as in Visual Studio 2013, but just a barebone VSIX project template, and later you add as many custom commands or custom toolwindows as you want using the Add > New Item dialog and selecting the corresponding item templates under the Extensibility node. This solves the old problem of how to add a second command or toolwindow to an existing package, at the cost of making it more difficult to know how to add the first ones. I will elaborate on all these aspects in the next weeks (during my vacations, I’m afraid), and will provide new links on this site to VS 2015 specific stuff. 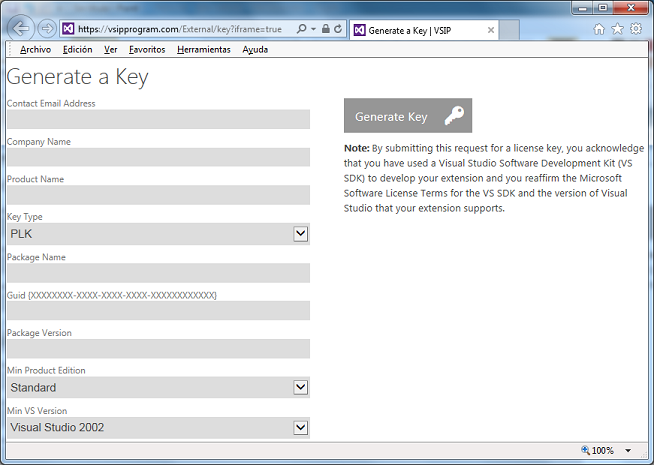 Did I mention that my extension MZ-Tools 8.0 is now a package for VS 2012, 2013 and 2015? It is also an add-in for VS 2005, 2008 and 2010, and they share 80% of code at binary level using the strategy of core plug-in + host adapters that I outlined here. I have even released in the last weeks a restricted Beta 2 of MZ-Tools 8.0 for the VBA editor of Office and even for VB6 / VB5 sharing the same 80% of binary .NET code. 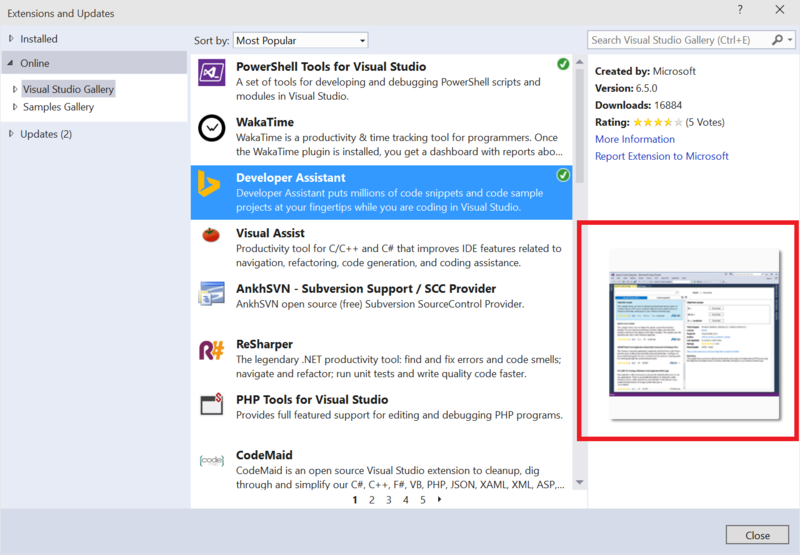 This is an example of a complex add-in migrated to a package with a new good underlying architecture to accommodate not only future changes in the extensibility model of Visual Studio, but also to support other Microsoft IDEs. 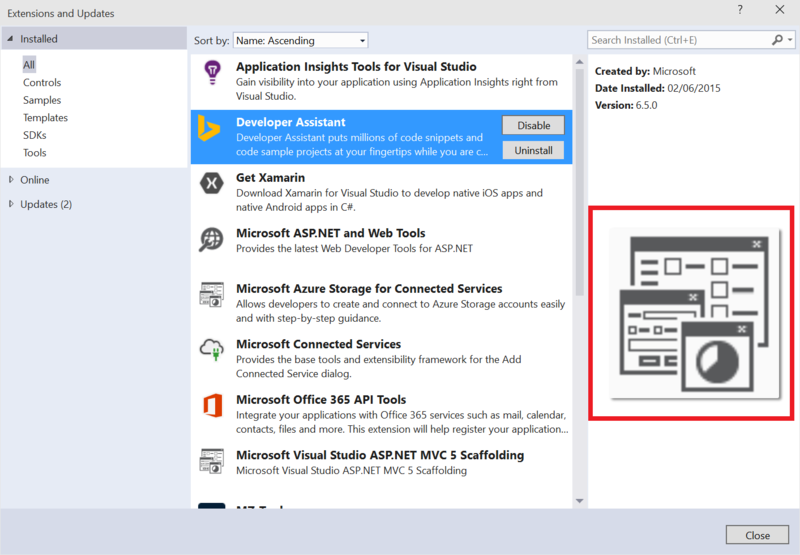 As I am moving from add-ins to packages, I always like to learn how to do things using native services of Visual Studio instead of using the automation model (EnvDTE). 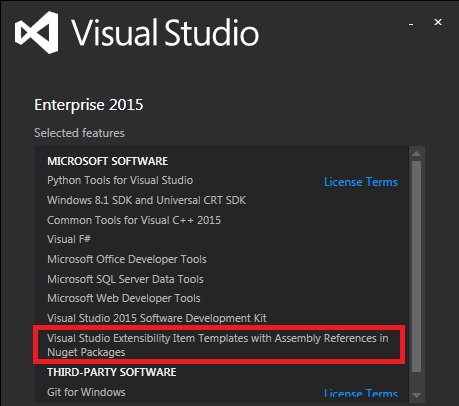 There is an area of Visual Studio extensibility, the debugger, that is very powerful but normally extensions don’t have to use, except maybe to know which mode (design-time, debug-time, run-time) the IDE is, and when the mode changes, because maybe some commands or features should be enabled/disabled based on the IDE mode. At the bottom of the main page, click the “Support” link. 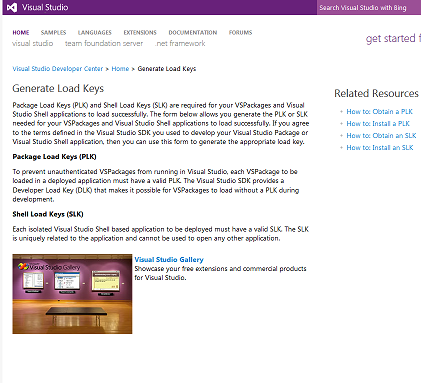 “Since Visual Studio 2012 you no longer need a PLK or SLK to integrate with Visual Studio. This capability is known as framework multi-targetting and in recent versions of Visual Studio has exploded to allow tons of different combinations of .NET Framework versions and profiles (.Net Framework, Silverlight, Windows Phone, XBox, .NET Microframework, .NET Portable, etc. 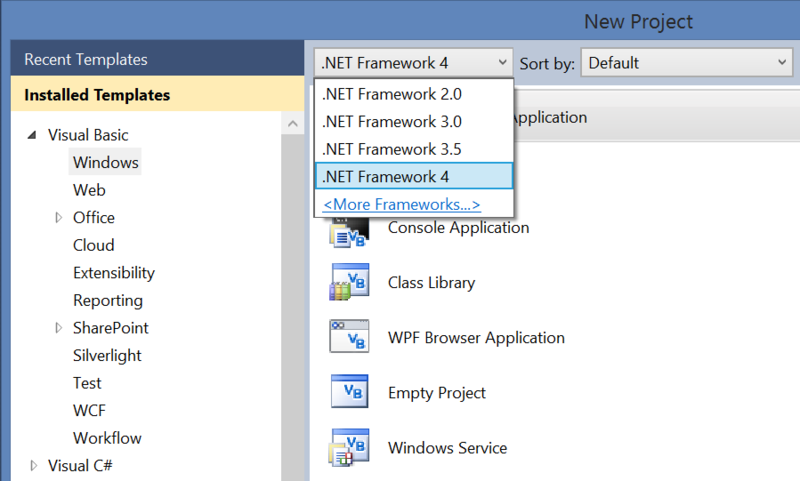 You can read more in this post of MVP fellow Stephen Cleary: Framework Profiles in .NET. A combination of .NET Framework name, version and profile is known as .Net Framework “moniker”, and it has a display name (friendly name). The interface has more methods, so check the documentation. Hopefully it will be fixed for VS 2015 RTM. You can vote for it to make it so. 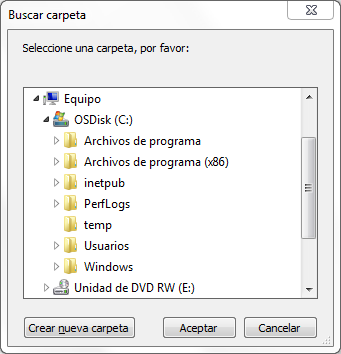 Despite being in Spanish (the computer that I am using to write this post), you can guess that it provides a title, a description, a treeview and an optional button to allow the creation of a new folder without leaving the dialog. 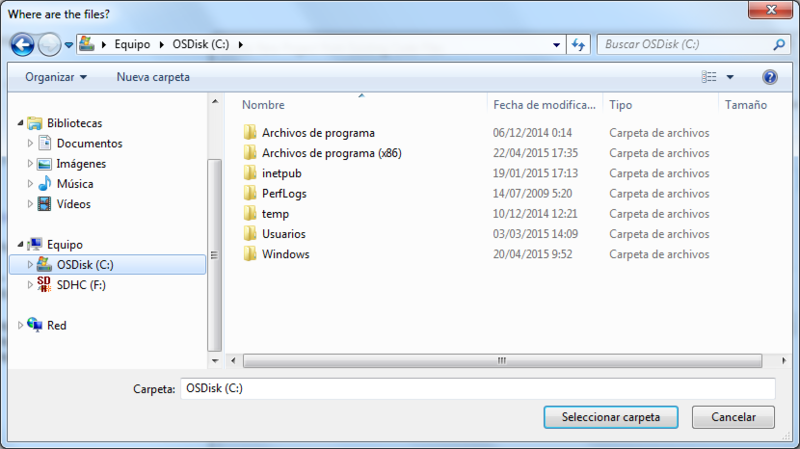 Again, despite being in Spanish, you can guess that it provides a treeview to the left and a listview to the right, along with the button to create a new folder and, overall, somewhat better usability. Both methods require the project guid that identifies the project in the solution (not to confuse with the project type guid). You can get the project guid from a IVsHierarchy that represents a project calling the GetProperty method with the __VSHPROPID.VSHPROPID_ProjectIDGuid property. 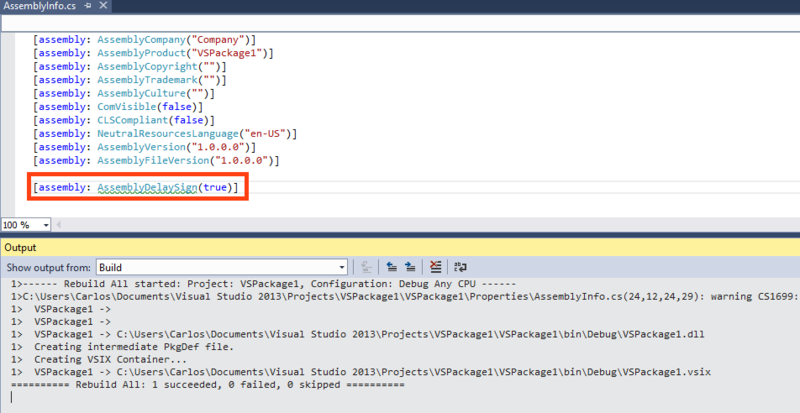 For VS 2010, alas, when the project is unloaded the “hierarchy stub” that represents the unloaded project in the solution doesn’t implement that property (it does in VS 2012 and higher). So, the second article applies to VS 2012 and higher (because it starts with an unloaded project as the initial condition), while the first could apply also to VS 2010. Finally, for completeness sake, given a IVsHierarchy that represents an unloaded project you can get the unload reason calling the GetProperty method with the __VSHPROPID5.VSHPROPID_ProjectUnloadStatus property, which should return a value of the _VSProjectUnloadStatus enumeration.